The three-row 2017 Audi Q7 has been completely redesigned for more luxury, more comfort and more performance. 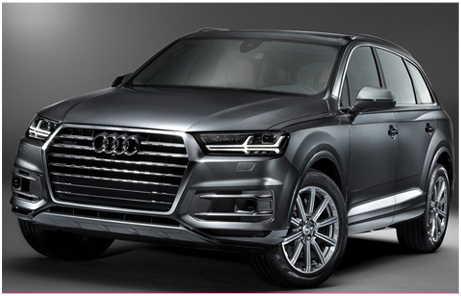 At Audi Columbus, we want you to know more about this impressive SUV before you ever get behind the wheel. 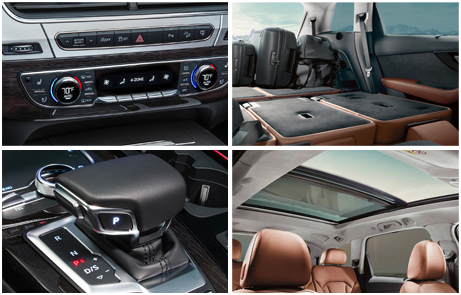 Those who love the Q7 will be thrilled with the newest iteration that features upgraded technology and more room to stretch out. More than worth the wait, the new 2017 Audi Q7 is well-equipped at every trim level with standard equipment such as alloy wheels, a turbocharged 4-cylinder engine, xenon headlights, power-folding heated mirrors, driver assistance technology, three-zone climate control, a touchscreen infotainment system, leather upholstery and more. Options and features available on upper trim levels of the 2017 Audi Q7 include a turbocharged 333-horsepower V6 engine, navigation, keyless ignition, heated and ventilated seats, a premium Bose sound system, massage function for the front seats, all-wheel steering and so much more. Come see us at Audi Columbus to learn more. We're located at 401 N. Hamilton Road, Columbus, OH 43213, well worth the drive from Pickerington or Upper Arlington. Step up to a new class of luxury in the all-new 2018 Audi Q5, available soon at Audi Columbus. The 2018 Q5 has been completely reimagined for an elevated driving experience like no other. The 2018 Audi Q5 comes well-equipped at every trim level with up-to-date technology, safety and performance features. 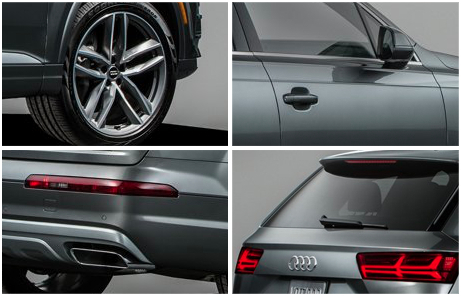 Standard and available features of the 2018 Q5 include a hands-free tailgate release, improved cargo capacity, quattro® all-wheel drive, a 252-horsepower 2.0 TFSI® engine, Audi Virtual Cockpit customizable instrument cluster, Audi pre sense® driver assistance technology, premium Bang & Olufsen® sound and much more. The all-new 2018 Audi Q5 is truly an SUV that must be experienced to be believed. Get in touch with us for more information at Audi Columbus.